Another popular choice we get requests for at Windows Plus are Chester and Delaware County bow windows. This is a great way to add a focal point to your home that will steal the show from both inside and out. There are many reasons this window style is popular but first, it is important to understand what it is and how it compares to a bay window. Although both look somewhat similar there are actually several differences. For one thing, the bow window is usually curved while the bay version is more angular. Also, the bow window is make up of more section, usually four to five, and the bay is only three. Otherwise it is a matter of personal preference as both styles can offer a larger view, more natural lighting inside the home and open up the interior space a bit. One reason some homeowners prefer bow windows is that this style can be wrapped around the corner of a building. This not only offers a unique look, it offers a view from two sides of the home. While the bay style offers slightly more added interior space, the difference is miniscule. The bow window is also known for allowing more natural light into the home. From there, it comes down to a matter of personal preference. 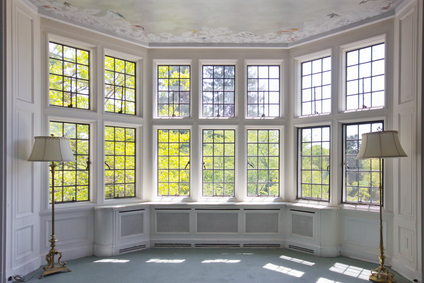 It is always essential to make sure you choose quality windows for this type of project. The last thing you want is to pay for a stunning window like this only to have it leak, break during a storm or cause your monthly utility bills to soar. At Windows Plus we promise you that whatever style window you choose, when it comes from us the quality can't be beat. 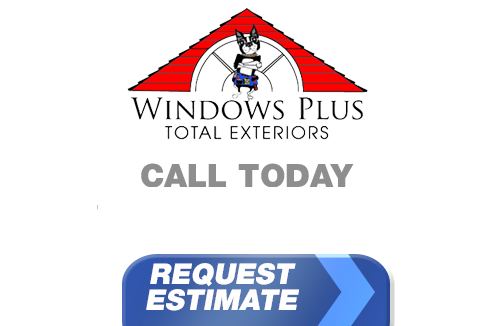 For over a quarter of a century now, the Windows Plus name has been the one to call on for all replacement windows, doors and more. We take great pride in the work we do and it shows in the results we get. You will always receive the finest in workmanship and customer care when it comes to working with us. We don't just plan to meet your expectations, our goal is to exceed them. Opting for bow windows for your Chester and Delaware County home is a smart choice as well a a wise investment. Any realtor will tell you that a good quality addition like this increases the value of your home and becomes an instant selling point. Let us tell you more about what this style of window can do for your home and help you make just the right choice.